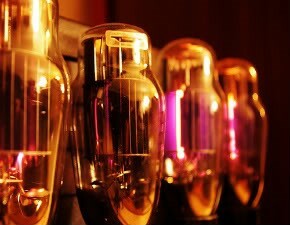 In the audiophile community and among certain elements of musicians, there is the feeling and advocacy for using vacuum tube amplifiers because of the warmth of the sound (and not from the heat from the tubes themselves). It’s entrenched mythology similar to the religious attraction to vinyl records. Why then isn’t there similar advocacy and enthusiasm for cathode ray tubes? The richer colors, the warmth of the gamma, the ionic breeze. Why have the biggest vacuum tubes been ignored, abandoned, and forgotten? Those noble 50-pound hemispherical bastons of shadow-mask finery with their 15 kHz tinnitus inducing ring. The audiophiles debate about the material in their cables between the pre-amp and the amplifier, the tonal quality of copper versus aluminum versus silver. They can hear the difference they say. A cathode ray tube display, a quality CRT display used four magnificent BNC cables, with special woven sheathing for flexibility and durability. The thickness of the cable was a measure of the quality of the analog signal delivered, and although never heatedly debated, a rich woven copper cable was always preferred over a stranded aluminum cable. And CRTs didn’t leave you with a blue hangover as the biased LCDs do. One could, and still can if lucky enough to have a CRT monitor, look at it all day and not get a headache if the refresh was 70 Hz or greater. We’ve traded those quality retraced lines for the screen door and are the poorer because of it. And a CRT never had a burned out pixel, not one, ever. They did keep an image longer than some people liked, but who could blame them—a good image should be kept. 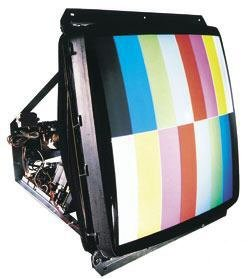 Who can forget the proud moment when their 21-inch Trinitron was delivered and without any adjustments or trimming immediately displayed a 1600 × 1200 image in millions of colors. CRT monitors were, and in many places still are, the color standards. Studios calibrated cameras and sets on the basis of the CRT’s display. New TVs were designed and adjusted in manufacturing by the color standard monitors. And all that has been given up for the cold lapis lazuli fluorescent hue of LCD displays, with their impersonal and boring flat faces and artificial reflective coatings. CRTs had natural, polished real glass reflective surfaces. When you entered a room with a CRT, it greeted you with your reflection, it welcomed you and on days when you weren’t at your peak, it matched your mood. No LCD could ever do that. And when you ended your work and turned off the warm and friendly CRT, it didn’t just die as if you had never been there, no, the CRT faded out slowly, longingly gently and warmly. You and it knew you’d had done things together and the memory passed slowly as memory should. That was real warmth, you could really feel it, not just pretend you heard it.